PMP certification is one of the most popular and prestigious credential in the world. It is globally recognized. You want to apply for the exam but you are not sure where to start. The first step towards attaining any credential is to determine the eligibility criteria. I have written this post to describe PMP certification requirements in detail. You will find everything you wanted to know about the PMP requirements and eligibility criteria in this post. I have provided detailed exposition on PMP prerequisites in this post. After reading it, you would know if you are qualified for the exam or not. There are two basic requirements to apply for the PMP exam – project management experience and 35 contact hours of formal education. You need to satisfy these to be eligible for the credential test. Let me describe these in detail. You need a minimum number of hours of Project Management (PM) Experience for meeting the PMP certification requirements. Most project managers who have been leading and directing projects for 3-5 years have this experience. Let us understand what is meant by “leading and directing projects”. It simply means that you have gained PM experience by working as a project manager or as part of a project management team. Essentially it means that you should have either managed a complete or part of a project(s). It is not enough to work just as a project team member. 4500 hours of PM experience if you have done a four years of degree course (bachelor’s degree or equivalent). 7500 hours of PM experience if you have secondary degree (high school diploma or equivalent). PMI’s terminology can be quite confusing. Let’s understand its requirement in detail. In order to meet the PMP requirement, you should have worked in one or more project(s). The type, nature and size of projects are not important. You can gain experience from any type of project. It could be technology oriented or non-technical; big or small; in-house or customer-oriented etc. It could be from any industry or business domain. The PMBOK Guide’s definition of project management is very broad and somewhat confusing. We can ignore it. Let’s take a look at the tasks involved in managing a project. PMI has created a list of various project management tasks. This list is available in PMP Exam Content Outline. You can go through this list to understand the significance of project management. You are eligible for the PMP exam if you have done some of these tasks while managing your projects(s). There is a small additional requirement. The task list is divided into 5 performance domains (Process Groups). You should have experience of all five process groups across all your projects in order to be eligible for the exam. However, you do not need to have experience of all five groups on every project. What is Leading and Directing a Project? It means that you should have performed the role of a project manager and managed a complete project. Or you should have managed part of a project. Essentially, it means that you should have done some of the PM tasks that are listed in PMP Exam Content Outline. You should have PM Experience of either 4500 hours or 7500 hours depending on your educational qualification. You cannot count entire working duration of a project towards 4500/7500 hours. You can count only those hours that were used to perform PM tasks. You can add up hours from multiple projects. You should have experience of all 5 performance domains (Process Groups). However, this experience is not needed in a single project. You require 35 contact hours of formal project management education in order to qualify for the exam. Let us understand the meaning of contact hours and formal education. If you attend an 9 hour long session with breaks in-between, then you can claim (9 hours minus the break time) as contact hours. These hours can also be accrued from a classroom course or an online training workshops. A formal education could include a traditional classroom training, an instructor led virtual training, or a self-learning online training. Self-study is not counted towards the contact hours. The hours can be attained from any PM course that includes instruction on the 10 Knowledge Areas (KA) as defined in the PMBOK Guide. These KA include Integration, Scope, Time, Cost, Quality, Resource, Communications, Risk, Procurement, and Stakeholder Management. You should have a formal PM education of 35 contact hours or more. You can utilize the hours accrued from multiple training programs that total up to 35 hours. You could use educational hours from your college programs. The 35 contact hours are valid for lifetime. ​To meet PMP certification eligibility, you need 35 contact hours of formal project management education. Do You Meet PMP Certification Eligibility? You would have understood the basic prerequisites. But, there might be some lingering doubts. You could still be wondering if you meet the PMP certification requirements or not. Don’t worry. If you have the PM experience, you are on right track. After getting the requisite PM experience, you can join any recognized formal training program to complete the second requirement. You can find a few good options for training here and here. Let me clarify a bit more by answering some frequently asked questions. ​I ​am work​ing in Industry X. Can I use my projects for PMP eligibility? ​Yes, you can. The type of projects or industry does not matter. Your projects should conform to the PMI's definition of a project. ​What is the definition of a Project as per PMI? ​As per PMI, "a project is a temporary endeavor to create a unique product, service or result". In simple words, it means that you are creating something new in a ​defined time period. ​Is PMP applicable and useful for professionals who are not working in IT industry? ​Yes. Absolutely. Projects happen in all kind of industries. You can look at my article on ​value of doing PMP​. I have shared a link to Global PMP salary survey in that article. It provides statistical evidence of salary advantage of doing PMP across different industries. You should read the report to check the salary benefit of doing PMP in your country and for your industry. ​I have N years of experience. Am I eligible for the exam? ​You might be eligible for the exam. Total number of years of experience does not matter. You need to have experience of managing projects. It means that you should have contributed at least 4500/7500 hours in managing projects or part of projects. ​My designation is not Project Manager? Can I apply for the exam? ​Yes. You can apply for the exam if you have minimum (4500/7500 hours) PM experience. You designation or title in an organization has ​little significance. ​What is meant by "project management experience in a leading role"? ​It means that you should have held a position of responsibility in your project(s). e.g you might be managing a ​team, taking decisions related to schedule, cost, or risk, involved in client engagement, managing vendor(s) etc. You can refer to exam content outline for a complete list of project management tasks. ​Can I apply for the exam if I only have experience of working in Projects? ​No. Simply working in projects as a team member is not enough. You should ​have worked in a leading or directing role. ​Can I apply for the exam if I have ​only managed part of project(s)? ​Yes. ​As long as you have 4500 hours of the project management experience, you can apply for the exam. ​It does not matter if you have ​​managed ​a​complete o​r partial ​​project. ​Can I apply for the exam if I only have experience of managing Operations? ​No. You should have project management experience. Working in operations or managing them is not considered as project management. ​Can I apply for the exam if I have managed both Operations and Projects? ​Yes. As long as you have 4500/7500 hours of the project management experience, you can apply for the exam. ​I attended a 35 hours training a few years ago. The PMBOK Guide edition has changed since then. Can I use my previous contact hours for applying to the current exam? ​Yes. You can use any previous project management training ​to apply for the exam. ​I studied project management as part of my educational degree. Can I use this education for applying to the exam? ​Can I undergo a training from a non Registered Education Provider (non-REP) to gain 35 contact hours? ​Yes. The contact hours from a REP are pre-approved for the exam. But you can take a PM training form any training provider. ​How/When ​does PMI verify the information ​that ​is provided in the application form? ​PMI verifies the information only if your application is audited. You can ​be asked to ​submit a copy of your training certificate and ​experience certificate(s). You would have to get the experience certificates signed from your manager(s) or ​any other organization's representative. Are you eligible for the certification? If yes, then you should start preparing for the exam immediately. It should give a big boost to your career. Or, are you still confused about the eligibility criteria? I am working as a technical lead in a software company. I have more than 8 years of experience.From last 4 years i am working as a lead. I am completely managing a project. Do i need to provide work experience document for this. I’m currently working as a project manager in a data collection firm from last 2 years. 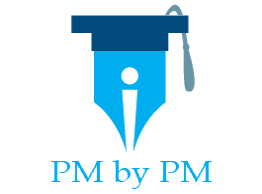 Am i eligible for pmp or capm? I had 6 years of experience in R&D in biopharma industry. Can i apply for project management certification? If yes, could you please let me know the best PMP certification offering institute in bangalore through online and offline? 1. Am I eligible for PMP as am leading IT-Software Project(But Designation is not project manager). 2. As MCA is 3 year course then how much project management exp required, 4500 Hr or 7500 Hr. Hi Mukul, You would be eligible as long as you have 4500 hours of PM experience. I m having more than 12 year experience in operation and maintenance in telecom (infra and utility maintenance), where I m taking care of network operation with a team of 50+ team member. I M willing to pursue career in any other industry. Am I eligible for PMP certification. And after certification how it would help me for my career growth. Hi Pradeep, Please check the Frequently asked Questions in the article. I am a Qualified Chartered Accountant with 6years of working experience in SAP FI(two projects), Accounting, Reporting and want to pursue PMP. Just want to know if I am eligible?? I have done MCA and working as a Software Developer since last 7 years. Can I use any other Industry’s PM Experience of 4500 Hrs?